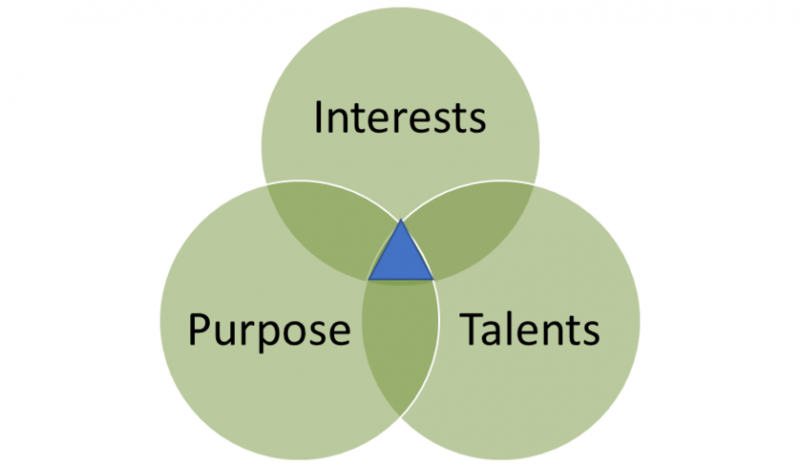 Blog What Happens When Interests, Talents and Purpose Meet? What Happens When Interests, Talents and Purpose Meet? Engaged workforce. Purpose. Accountability. Ownership mentality. Balance. Autonomy. Collaboration. Communication. These are the words heard daily in conversations with business leaders and their employees. Seldom are the words money, pay, compensation, salary heard…from either party. It suggests that we all seek something more than just the paycheck. At a recent presentation, the speaker asked participants to think about a time recently when the participants had felt powerful. After a few quiet moments of reflection, three brave souls shared their stories with the group. While powerful and purposeful the stories were, not a one of them was about the person’s work or occupation. Instead of finding a fulfilling purpose at work, many employees search for it outside of the office, in hobbies, volunteering, time spent with family and friends. No wonder there is a cry for balance and autonomy, the ability to determine how and when you get your work done. People crave a purpose greater than themselves and their day-to-day existence. As a business owner and leader, your responsibility is to clarify and communicate a vision and greater purpose that your team can get behind. Those who can’t will leave. Engagement is a two-way street and it is also incumbent on the team members to understand what interests them, what their natural talents are and how they can be productively applied. Yes, there are some who work simply for a paycheck, out of necessity or ignorance that there can be a better way. More of us have the opportunity to define our work by understanding our interests and natural talents. When interests, talents and purpose meet you find the engagement and all the other related words, deeds and actions. I believe that work can be fulfilling beyond a paycheck and it is my purpose to help leaders and their teams find that intersection of interest, talents and purpose.